Although summer is coming to a close and the first day of autumn is rapidly approaching (September 22nd, is case you are wondering) There are still many events to attend around the Denver Metro area to take full advantage of all the beautiful weather the Colorado has to offer. On September 6th take a short drive to Keystone and enjoy Oktoberfest. Admission is free and it runs from 2-6pm. With food booths and beers from around Colorado breweries, enjoy the crisp mountain air and live music. 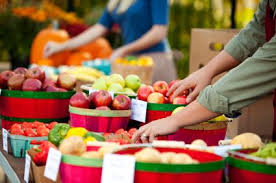 September 13thapple lovers gather in Salida for Apple Fest. A day filled with farm tours, apple picking and of course an apple pie contest! 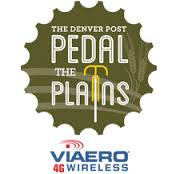 Pedal the Plains comes back to Denver for the third year on September 19th -21st. You can enjoy cycling culture, good food and riding with friends and family. Registration is open now to join in on the event. If you are more of the running type Color Fun Fest 5k is happening on September 20th in Denver. Run in color and dance along to the music! A summer in Colorado would not be complete without a trip to Estes Park and the perfect time to head out is on September 20th-21st during the Autumn Gold Festival. You can enjoy live music food and drinks and be surrounded by all the beauty Estes has to offer. Looking for a day to spend with your dogs? 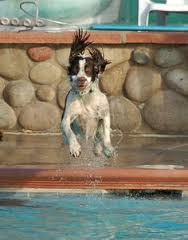 Steamboat Springs was named Dog Town USA for a reason, a nd on September 21st thePoochy Paddle gives you and your pups a day at the Old Town Hot Springs! Make sure to bring a donation of dog or cat food to share. To round out the month of September everyone could use a little Chocolate therapy. Vail is helping with their Lionshead Wine, Spirit and Chocolate Festival on September 26th– October 5th. Tastings and dessert samplings created by local pastry chefs and outside vendors will be on hand. Summer may be coming to a close; Colorado still has beautiful weather and plenty days left of sunshine! 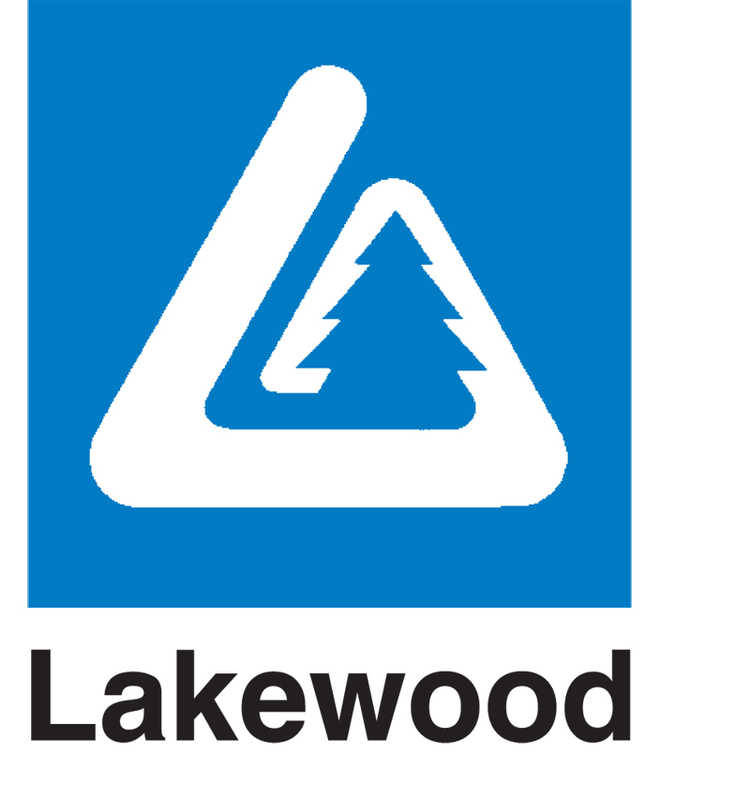 Get out there and take advantage of all the events Colorado towns have to offer. 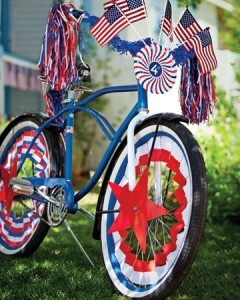 July 4th is just around the corner and with so many events going on around the Denver Metro area, we at the Monica Perez Real Estate Team thought we would give you a rundown of some of our favorite events to attend. Whether you are looking for family friendly, on a budget or a night out on the town there is something available for you! 4th of July just isn’t the same without catching at least on parade- so head over to Park Hill for their FREE 4th of July Parade. 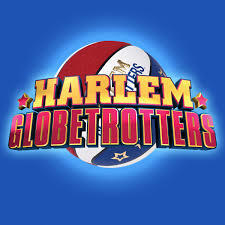 You can watch the floats go by, gymnasts and acrobats twirl and leap as well as hear all kinds of music play. If you haven’t heard the song Let It Go enough yet, here is your chance to get another dose. Frozen tells the story of Princesses Anna and Elsa and their adventures in the icy kingdom of Arendelle. The Rockies, Rapids and The Outlaws will all be shooting off fireworks at their games this year. 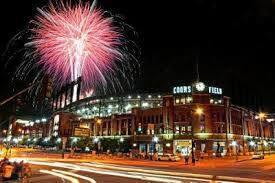 The Colorado Rockies taking on the Los Angeles Dodgers on July 4th but tickets sell out fast! Colorado Rapids are playing the Columbus Crew on July 4th and the Denver Outlaws are going head to head with the Boston Cannons Independence Day. The art festival runs July 4-6 from 10am-6pm daily and if you want a change of scenery this is a great option! The art fest is FREE and open to the public and also includes three days of music performances. Head to Colorado Springs and enjoy the change of pace. After all the festivities over the weekend come to a close, it may be a good idea to relax on the lawn of City Park and take in some good tunes. 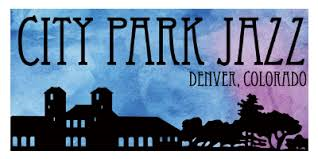 City Park Jazz is FREE and you can come listen on July 6th. Soul singer SuCh will be featured, make sure to bring a picnic to enjoy with friends and family! Already thinking ahead? 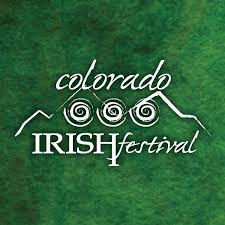 Don’t miss out on this year’s Irish fest! The festival is held at Clement Park. The festival is filled with music, food drinks and includes and cultural village. Visit the website for more information on admission cost. Whether you are watching HGTV, or looking to buy a house you may have heard of the term ranch or bungalow. Whatever the case may be some terms for homes can be confusing. This blog post will help you tell the difference between the two. The bungalow is typically square in shape and only made up of one story. The largest room is typically the living room and it will consist of small windows and the sleeping rooms leading off the main room. The kitchen will typically be towards the back of the home. Bungalows will also be detached homes with no garage. It is said that the bungalow became popular in the early 1900s and that the first American bungalows were built in the Northeast. Many believe that bungalows can be easier to care for as well as more private then most homes. In the Denver metro area there are many bungalow homes in neighborhoods like Washington Park, Berkeley, Sloan’s Lake and City Park. To modernize bungalows, many contractors are opening up the wall between the living room and kitchen to make the floor plan a more open concept. They are also constructing detached garages. Ranch homes are typically rectangular in shape with a more elongated floor plan. The sleeping rooms are set further from the main living room area. There are typically more windows then there are in a bungalow and they are usually larger as well. Ranches can also include an attached garage in the floor plan as well as vaulted ceilings which bungalows do not include. Ranch homes can provide more interior space and can be more convenient for larger families. The first ranch homes were said to be built in California around the 1930’s and became popular in the 1950’s. In today’s competitive seller’s market, homes are selling in a matter of days. In a large number of cases they come on the market and get 4-8 offers within hours. As a seller this is a dream come true, but what about buyers? It can be very frustrating. How can a buyer win the home they like in today’s market? 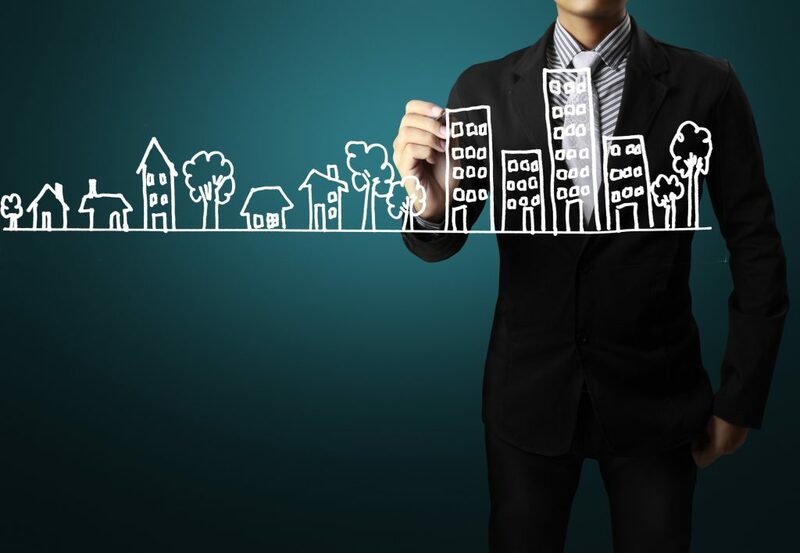 Here are some tips you might find helpful in becoming a successful home buyer. 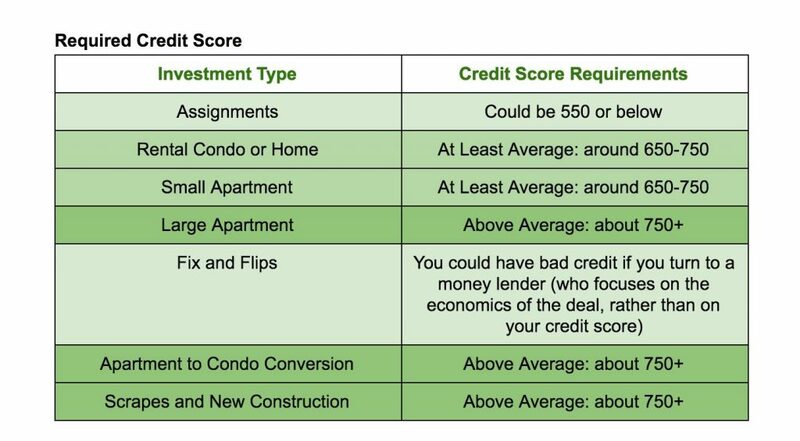 To be prequalified you will need to talk with a lender, run your credit and give the lender a verbal account of your income and expenses. The lender will tell you an estimate of the amount of home you can afford given the information you have provided. 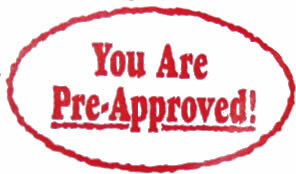 Taking the next step to be pre-approved will make you a much stronger buyer. To be fully preapproved you will need to turn in all of your financial documents, such as your pay stubs, tax returns and bank statements. The lender will not only review them, they will also send the documents to the underwriter who makes the final decision on whether or not the loan will go through. With the underwriter’s approval you are a very strong buyer. Often your loan will be able to close sooner if you have already completed this step, which is an additional bonus. 2. Be flexible on the closing date. Some sellers will need to find their replacement home. If you ar e willing and able to let the seller remain in possession a week or two after closing they aren’t as pressured to move out immediately after closing. Another option is to allow the seller to rent back from you for a month until they can purchase their new home. 3. Have reserves to pay your own closing costs. 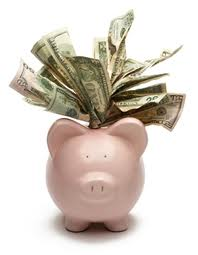 You can also talk with your lender about rolling the costs into the structure of the loan. With so many competing offers, sellers are not as quick to pay closing costs as they were a few years ago. Closing costs can be $4,500 to 3% of the purchase price. If you have your own funds, great! If not, there can be ways around it. Sometimes your lender can raise the interest rate by a 1/8 of a percent and roll your closings costs into the structure of the loan. 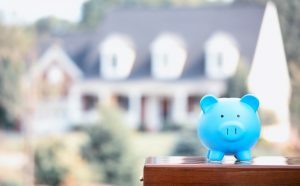 This may not be an option for all buyers so make sure to talk with your lender to see if it would be beneficial to you. 4. Be quick on the draw! The good homes are selling so quickly you need to be flexible in your schedule to view homes the same day they come on the market. 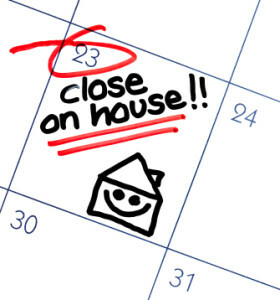 If you see a home for sale on Thursday, there is a good chance it may not be available when you have a day off of work on Saturday. 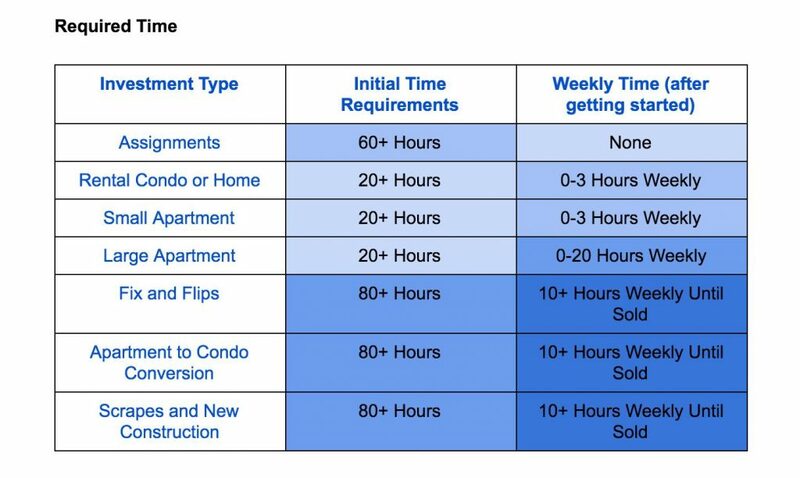 Talk with your boss about your process of buying a house and ask if they can be flexible to allow you to have an extended lunch and make up the time by staying late. It might make all of the difference. You may have to submit offers on several homes before we win the contract. With patience and persistence it will eventually all work out. Partnering with a lender and Realtor who are experienced, work full time in the profession, and who put your needs first is key! If you would like more information on how we are successful in winning homes for our buyers please give me a call, 303-912-3320. Things To Do in Colorado This Summer! Summer is just around the corner- which means school is almost out- yes I will say that again, school is almost out and that means time to find things to keep the kids busy. Luckily Colorado is the perfect state to get out and enjoy the outdoors! Colorado has festivals, parks and events that are family friendly and easy on the wallet. Here are a few of my favorite to try out this year! 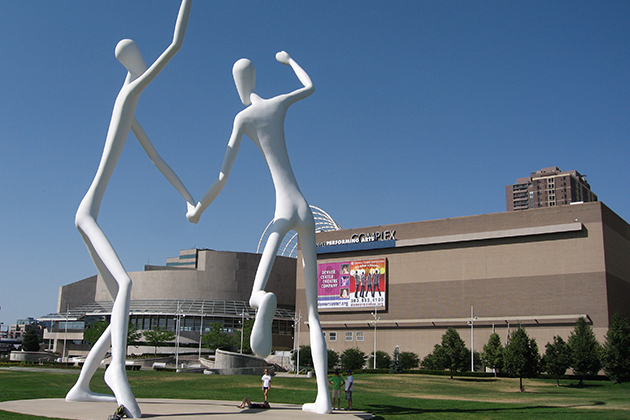 Downtown Denver Arts Festival – FREE! Time: Friday: 4 p.m. Saturday & Sunday: 11 a.m. 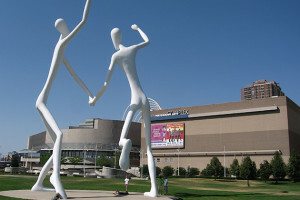 The fine art and fine craft exhibition features some of Colorado’s and the nation’s best artists with over 150,000 people expected to attend. This is a two day festival that many artist spend turning Larimer square into a work of art. Take your time walking the streets and look at all the masterpieces! These are held a few different locations; the most notable is Red Rocks. I will mention to get ticket ahead of time because it does fill up quickly! 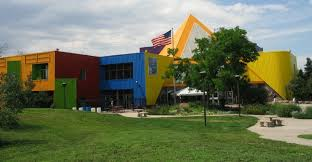 Every first Tuesday of the month is free for kids from 4-8pm. The museum is full of interactive exhibits and they always have daily activities. You can visit 40 mile scenic stretch- choose from pre-planned trips or choose your own way. The Lariat Loop Heritage Alliance is a non-profit organization that represents parks, open space, indoor and outdoor museums, chambers of commerce, an art center and a shrine. They preserve the historic and natural features along the 40-mile scenic and historic byway and educate the public about those resources. After living in Colorado for some time some people tend to forget the beautiful parks we have at our disposal. 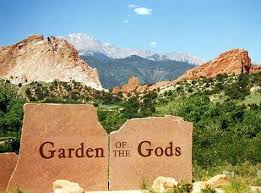 This summer try and take some time to make it to Red Rocks, Dinosaur Ridge, Wash Park or take a drive to Garden of the Gods. The beautiful park and landscape is located 60 miles from Denver but the scenery makes it all well worth the drive. You can make a short road trip out of it, pack a picnic and make a day out of seeing the beauty Colorado has to offer! Do you ever ask yourself- wait when does spring cleaning start? Before, during or after spring? Well no one may know the true answer to that question, but it is a good idea to prepare your home both inside and out for the spring weather and that is undoubtedly on it’s way. Here are five simple steps you can take to get you and your home ready for spring! Step 1: Plant the garden! This one is all about creativity! Plant some flowers or vegetables- put your green thumb to work! Plants can hide unsightly things in the yard like air conditioning units and electrical posts. So make sure to plan ahead before you plant. Walk outside and take a good look at your front door (remember my post about red front doors?) Is it time to take that leap and paint that front door that fun color you have been thinking about? A splash of color on your front door can completely lven up your whole house- go ahead- paint (or stain) your door, live a little! This could mean replacing any pavers, filling in any rocks, replacing any loose bricks etc. 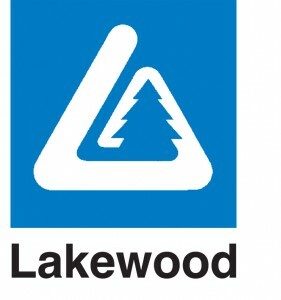 Rain and snow tend to take a toll on all kinds of outdoor materials you could be using. Broken walkways can also be dangerous. It is easy to forget this; you may not have been spending too much time on the porch or on your deck. Go ahead and take a loop around the house and see if any of those bulbs have burned out and need to be replaced. You may want to look into changing them out for energy efficient bulbs while you are at it. Make sure to give your outdoor furniture a good washing. Think about repurposing anything that has gotten some wear and tear. There is a lot that a fresh coat of stain and paint can do. You can check out my Pinterest page for a ton of ideas on repurposing outdoor furniture as well! If you have any great tips or ideas for around the house, email me at mperez@monicaperezre.com so I can share them on my blog! Si usted está buscando para comprar una casa, vender su casa o es un dueño de una casa aquí esta la segunda parte de el video que le da informacion sobre la actualización de las tendencias del mercado. Este video le proporcionará información útil sobre lo que está sucediendo en el mercado de bienes raíces en y alrededor del área metropolitana de Denver en el primer trimestre de 2014. Si desea obtener más información sobre estas tendencias del mercado local, llame Mónica Pérez al 303-912-3320. Monica puede asistir a una función de trabajo o reunión de negocios para darle una presentación. 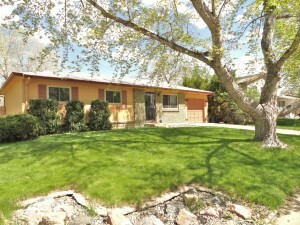 Si usted está buscando para comprar una casa, vender su casa o es un dueño de una casa, aquí hay información útil sobre lo que está sucediendo en el mercado de bienes raíces en y alrededor del área metropolitana de Denver en el primer trimestre de 2014.